Driving is already a dangerous activity. Driving in the rain only adds to the risks associated with driving. Rain may be the thing that California so desperately needs right now, but it can also bring along its own unique dangers–at least from a human driver’s perspective. 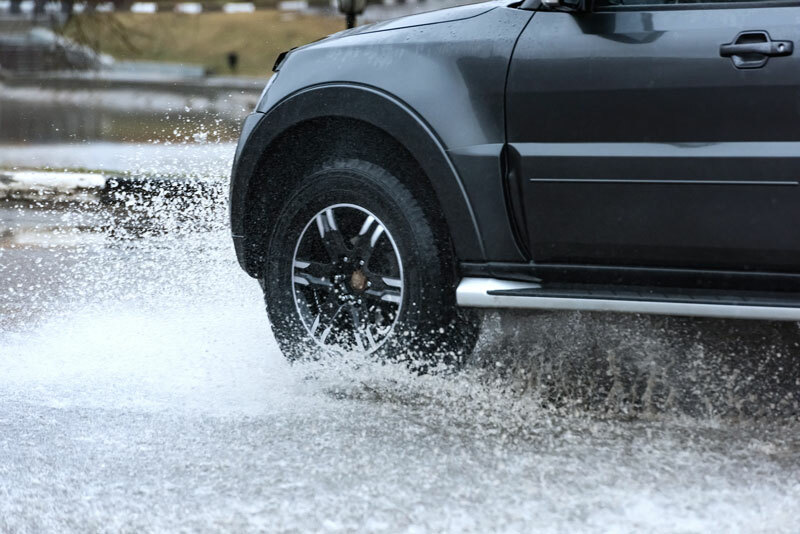 Severe weather can significantly increase your risk and potential for a dangerous situation for you, your family, and the other drivers with which you share the road. Severe weather demands your undivided attention, so it is important to reduce all forms of distraction. Here are a few safety tips for driving in the rain and strong wind. While Singin’ in the Rain may be fun, drivin’ in the rain is not. Headlights need to be on so other drivers can better see you. Leave plenty of space between you and the driver in front of you to give you time and space to react. Watch for larger vehicles as their increased surface area can catch more wind and make it hard for them to stay within their lane. Keep a firm grip on the wheel. You may not think of wind as threatening but a strong gust can force your car one way or the other if you are not holding onto the wheel.